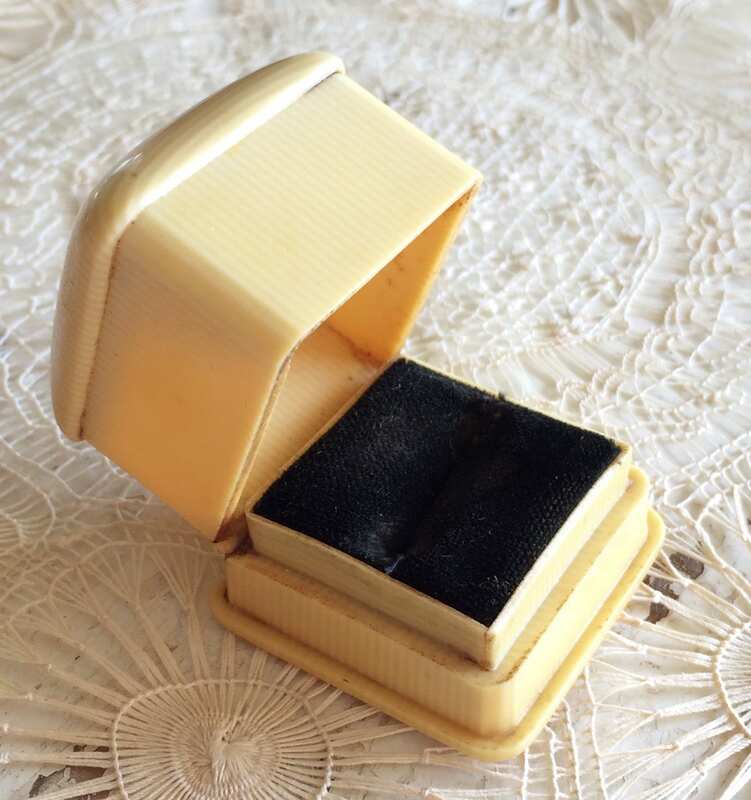 Lovely vintage celluloid or "French Ivory" ring box has a modern, classic design and a black velvet lining. 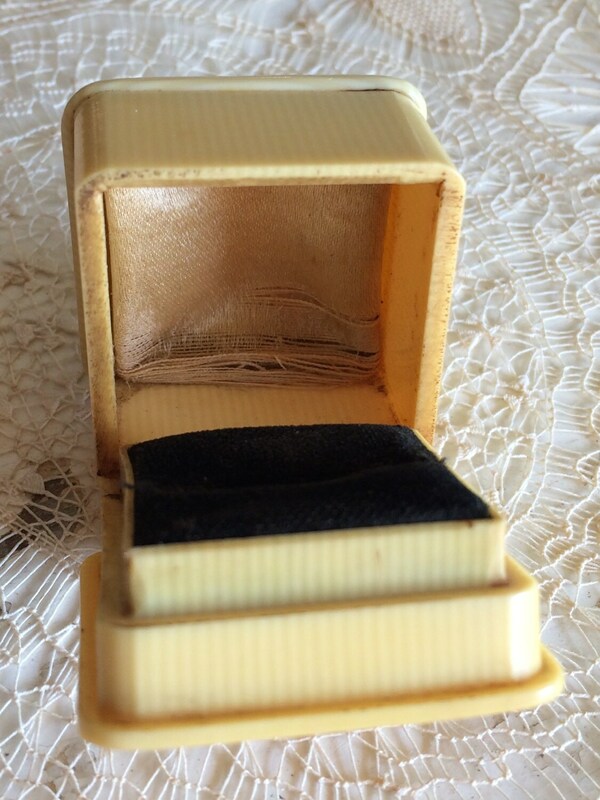 Perfect little jewel box for showcasing a beautiful antique or custom-made engagement ring! Antique white shattered silk satin insert is unmarked. 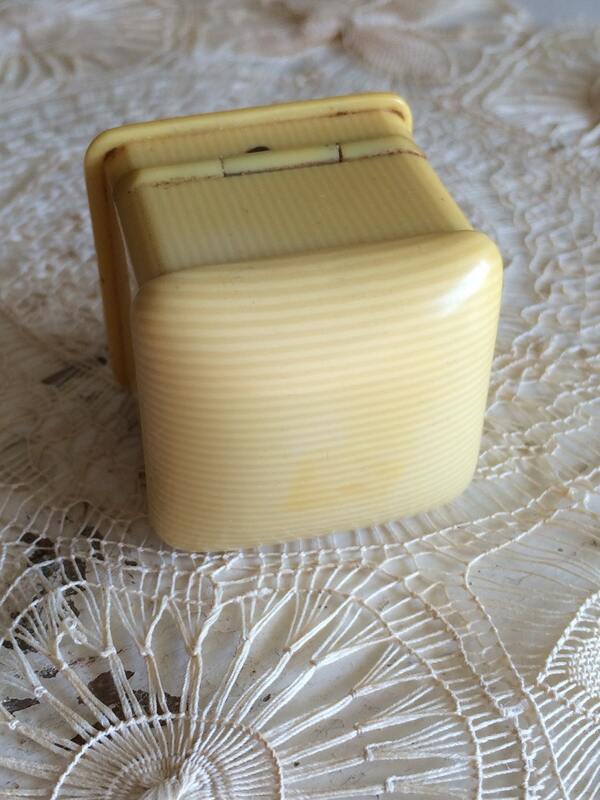 There is a slight gap when box is closed. 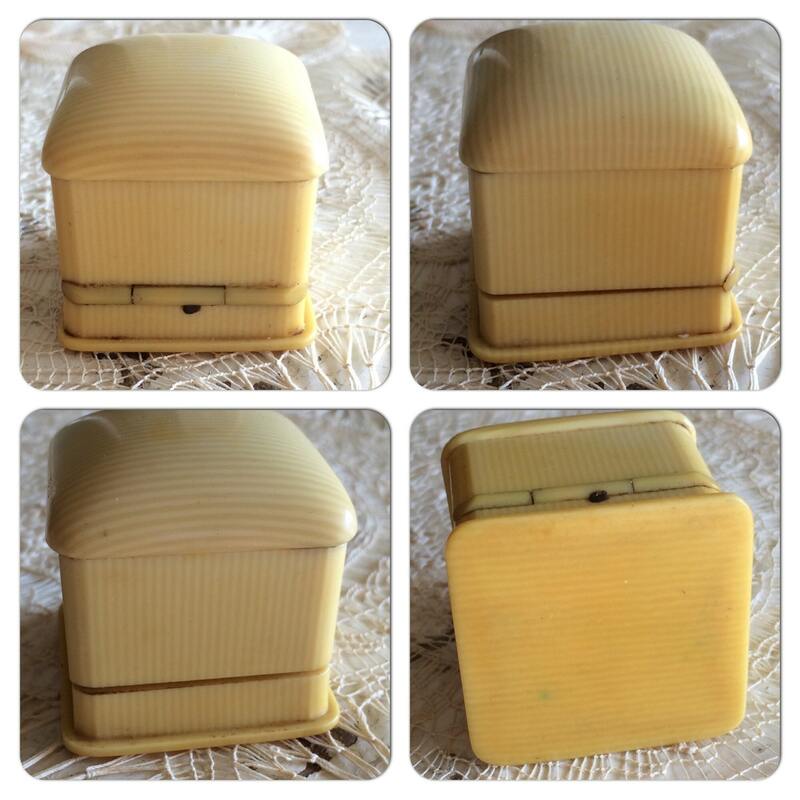 There is some mild wear, discoloration & soiling to the outside; interior is in good vintage condition (please see photos). Circa 1910s-20s; approx. 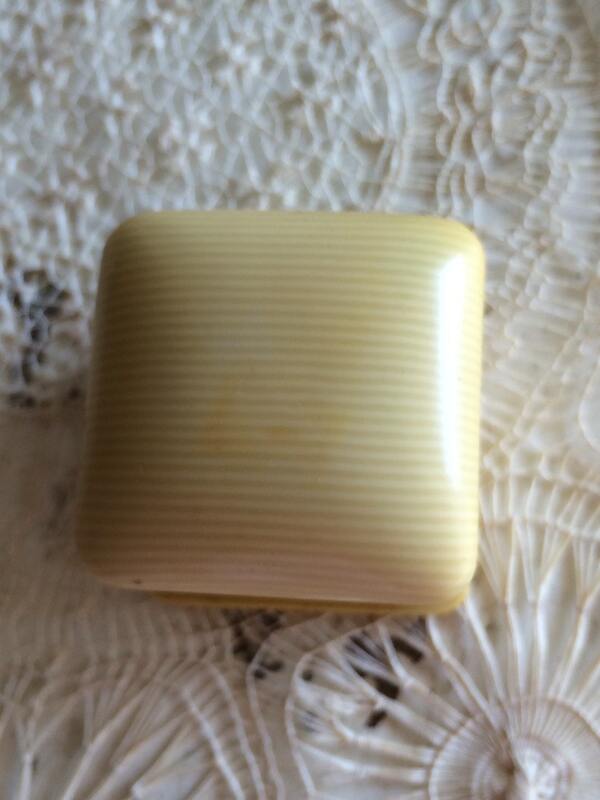 1-1/2 inches wide x about 1-1/2 inches deep x 1-1/2 inches tall (when closed).